Tom realizes to be successful as a trial lawyer, you have to understand that it is all about the people, the victims and the families who suffer due to the carelessness or recklessness of others. With the founding of Kiley Law Group, Tom Jr., his son and a third generation trial lawyer, has entered the fold. “It is gratifying to have Tom Jr. follow the family tradition and join me as a partner in our law firm.” Tom Kiley, Jr. already has his own record of obtaining six- and seven-figure results for his clients and possesses the same passion and dedication as Tom Kiley, Sr. and his grandfather, Daniel P. Kiley, Jr.
AVVO.com, the best-known online attorney rating service, rated Tom Kiley a “Perfect 10” and “Superb” based on his years of service, successful record of results, impeccable reputation with clients and peers and professional accomplishments. Tom has also received an AV Rating from Martindale-Hubbell, the definitive guide to America’s leading lawyers, for ethical standards and legal ability. 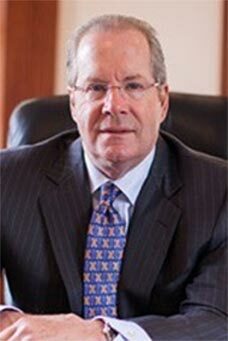 He has been listed in New England Super Lawyers since 2009. In 2011 and 2012, Tom was selected as one of the Top 100 Trial Lawyers by the National Trial Lawyers Association. In 1988, the Boston Herald Sunday Magazine, in its Personal Best Series, referred to Tom Kiley as the “Million Dollar Man.” This was based on his record of obtaining million dollar verdicts and settlements in complex cases in which he represented his injured clients against insurance companies. Tom Kiley was a member of the trial team in the “Woburn Case,” which involved an epic legal battle waged by eight families from the same neighborhood in Woburn, Massachusetts. Each family had a child suffering from leukemia, which was linked to the municipal water supply. The case was the first of its kind and became the subject of the best-selling book, A Civil Action, written by Jonathan Harr, that went on to become a feature film. Committed to representing the victims of negligent corporations, doctors, individuals and manufacturers, Tom Kiley is fearless in standing up to wrongdoers. For over 30 years, Tom has applied his role as an attorney and safety advocate to help children, teenagers and adults of all ages who have been harmed due to defective products, motor vehicle accidents and other senseless incidents resulting from wrongdoing and negligence. When a person’s life is turned upside down by another’s recklessness, they have to overcome significant challenges to make things right again. There is little that injury victims and their families can do to fight the rich and powerful without the assistance of a lawyer who is fearless, analytical and diplomatic. Tom Kiley is such a lawyer and he strives to help his clients move toward a more positive future. With the unyielding belief that “if we don’t hold those who endanger us accountable, then no one in our community is safe,” Tom empowers injury victims and their families through knowledgeable and compassionate legal guidance and representation.